I have been supporting World Sight Day for many years. World Sight Day (WSD) is a global initiative to raise awareness on preventable blindness and vision impairment. There are approximately 285 million people in the World live with low vision and blindness. In fact, 80% of it was actually preventable, either by early detection of eye problem or by having it cured by a treatment or surgery, or it can be easily solved by just having a pair of prescription glasses. 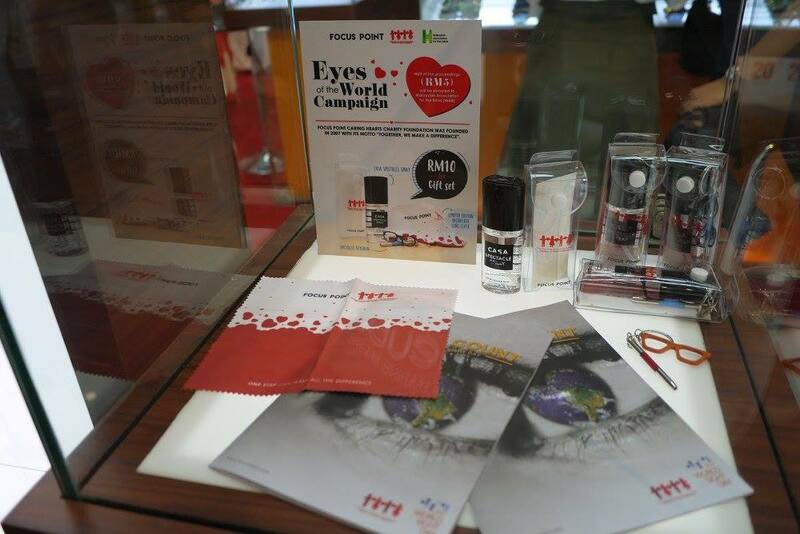 There's always some CSR campaigns running in conjunction with World Sight Day each year. 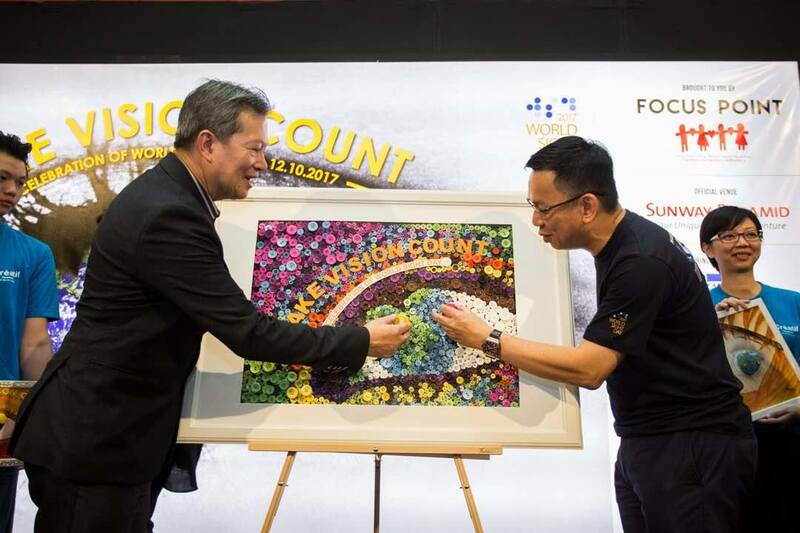 This year, I felt honored to participate the World Sight Day 2017 'Make Vision Count' CSR Campaign initiated by leading vision care group, Focus Point. 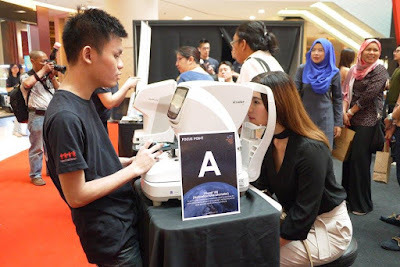 With the aim of advocating eye and vision care amidst rising vision impairment and eye problem incidences in Malaysia. According to media reports of year 2016, 54 out of every 1000 Malaysians suffer from low-vision impairment owing to health defects, as revealed by the Health Ministry's National Optometry Services Head Dr. Nur Zahirah Husain. She added that an estimated 15000 people nationwide suffer from low-vision impairment based on statistics obtained from government hospitals. Among the factors causing this are diseases, for instance glaucoma, diabetes, age-related degeneration, cataracts, retinal disease and uncorrected refractive error. This year's theme - “Make Vision Count” carries the message that we can beat preventable blindness or vision impairment by providing public with proper education and useful information, as “Knowledge is Power”. Everyone plays a part in vision care, encompassing people who are related or engaged with eye care like ophthalmologists, optometrists, ophthalmic nurses, donors, patients, carers, event to the wider family. One of the global concerns is the rising trend of myopia, a short-sightedness which affects many school-aged children and is fast becoming a major public health issue of our time. In year 2010, over 28% of the world's populations were affected by Myopia. This is expected to escalate to 34% by year 2020 and near to 50% by year 2050. As myopia starts early, children of school age are particularly at risk. A child's ability to learn will be severely affected if they do not have clear vision. Many children with eye problems would not realize what they are seeing is not normal. The only way to find out is by having a vision screening or a proper eye examination at an early age. 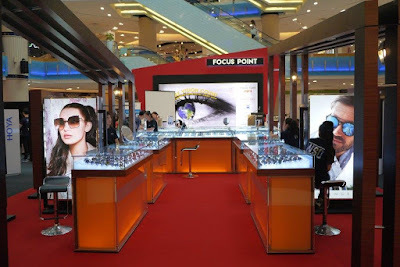 We love that Focus Point has offered a kaleidoscopic range of holistic activities to encourage Malaysians to care for their eyes and vision. Parents could bring their children to the event for free diagnostic eye checks and consultation at the event. There are also many exciting and interactive games as well as a “Snap for Vision” photo contest to enabling all to appreciate the gift of sight in a fun way. The event also held presentation ceremonies to aid two organisations advocating eye care in Malaysia. 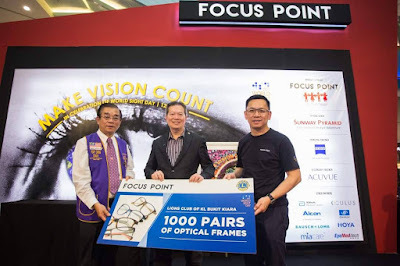 Focus Point donated 1000 pairs of optical frames to the Lions Club of KL Bukit Kiara and contributed RM 5000 cash to the Malaysian Associations for the Blind. 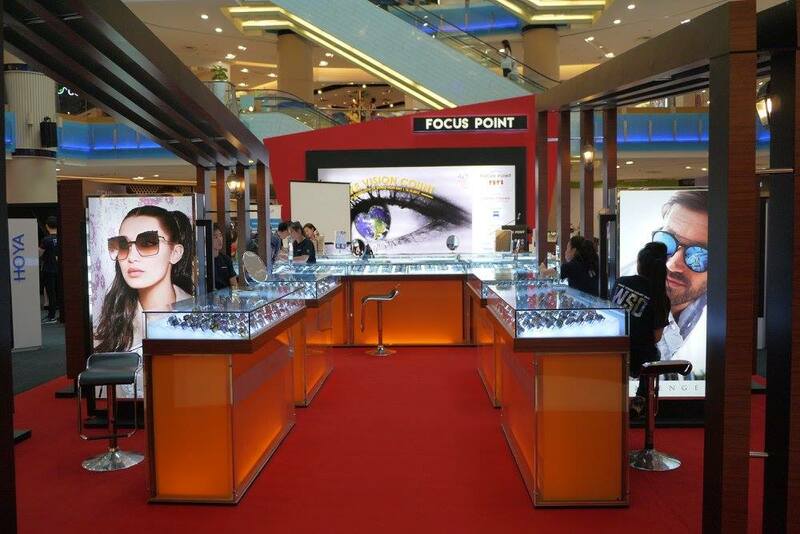 For more information on Focus Point, logon to their Facebook page and Official Website. You look great in those glasses, it great to raise awareness, I almost forgotten about my eye care and it is really important.